The New York auto show whose media days ended Thursday saw several debuts of high-volume crossover utility vehicles. 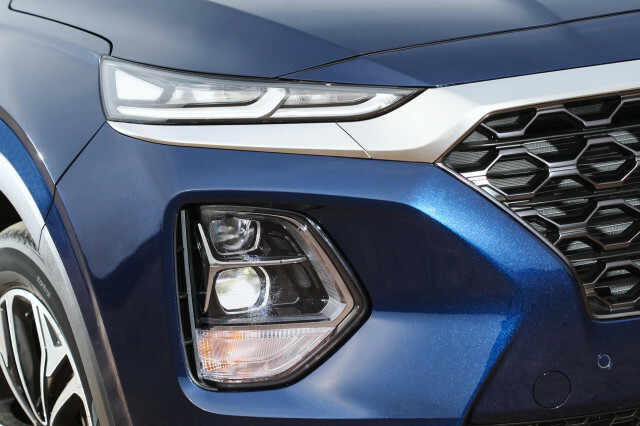 One was a redesigned 2019 Hyundai Santa Fe mid-size crossover, which gained size, new features, and considerably more traditional and upright SUV-like styling. 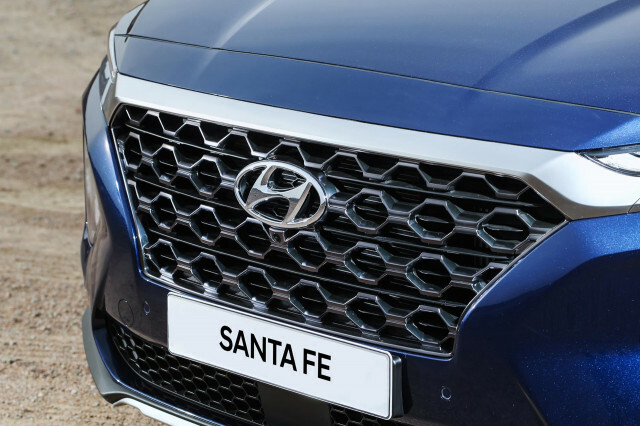 Hyundai said the base five-seat model with two rows of seats will now be called simply the Santa Fe, losing the “Sport” designation it has carried for a few years. Meanwhile, the long-wheelbase version with seven seats in three rows, will be known as the Santa Fe XL. That model alone will be powered by a new engine Hyundai hasn’t previously offered: a 2.2-liter turbodiesel-4 engine, its first diesel vehicle sold in the U.S. The smaller and likely more common Santa Fe versions will come standard with a 2.4-liter inline-4 rated at 185 horsepower and 178 pound-feet of torque. 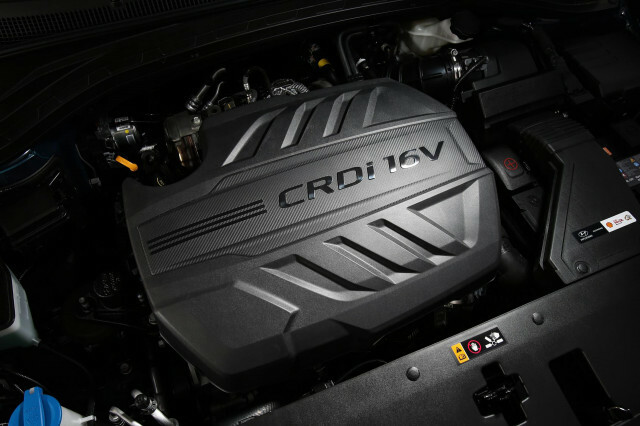 Buyers who want more kick in their family SUV can opt for a more powerful 2.0-liter turbo-4 estimated at 235 hp and 260 lb-ft. All three engines power the front wheels through a new 8-speed automatic transmission. As before, all-wheel drive will be optional. For 2019, Hyundai has made the Santa Fe larger, squarer, and more upright. Especially from the rear, the previous streamlined shape with a raked tailgate has given way to what it calls a “bolder” look. Thin headlights sweep back along the fenders from the upper corners of a large, aggressively cross-hatched trapezoidal grille. The vertical tailgate takes the Santa Fe away from its small crossover roots and closer to the look of full-size SUVs. There’s also more glass: Hyundai says the windows for rear-seat passengers are 40 percent larger. A broad and wide dash top inside underscores the appearance of size, with an instrument pod on top in front of the driver and a 7.0-inch touchscreen sitting above it in the center. Hyundai said it has focused extensively on passenger comfort, reducing the size of the door pockets for more legroom and locating the cupholders in more convenient positions. CHECK OUT: 2019 Hyundai Santa Fe offers diesel, but are hybrid, plug-in hybrid for US or not? Safety features are crucial for any family crossover, and the Hyundai Smart Sense suite of active-safety systems will be standard on the SE and higher trim levels. That package bundles adaptive cruise control, active lane control, driver-alertness monitoring, and parking sensors with rear cross-traffic alert and automatic reverse braking, among other features. 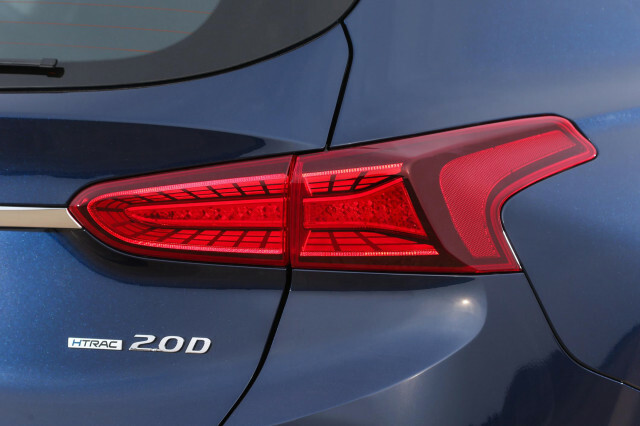 A new rear-occupant alert feature appears for the first time on the 2019 Santa Fe as well. The base five-seat crossover gets a 7.0-inch touchscreen display, while higher-level trims get a larger unit . Android Auto and Apple CarPlay are standard. A head-up display, Qi wireless smartphone charging, satellite radio, and a premium audio system will be standard or optional depending on model and trim level. The 2019 Hyundai Santa Fe crossover will go on sale this summer, the company says, and will be available in SE, SEL, SEL Plus, Limited, Ultimate, and 2.2D trim levels.